15 years ago? It was the summer of my junior year in High School. 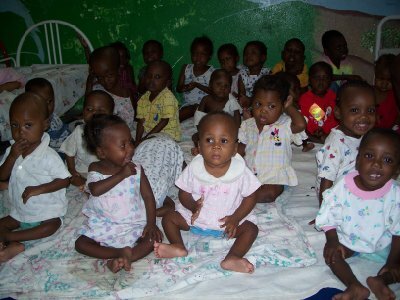 I took a trip to Haiti with an organization from a nearby town in upstate New York. I had never been out of the country. 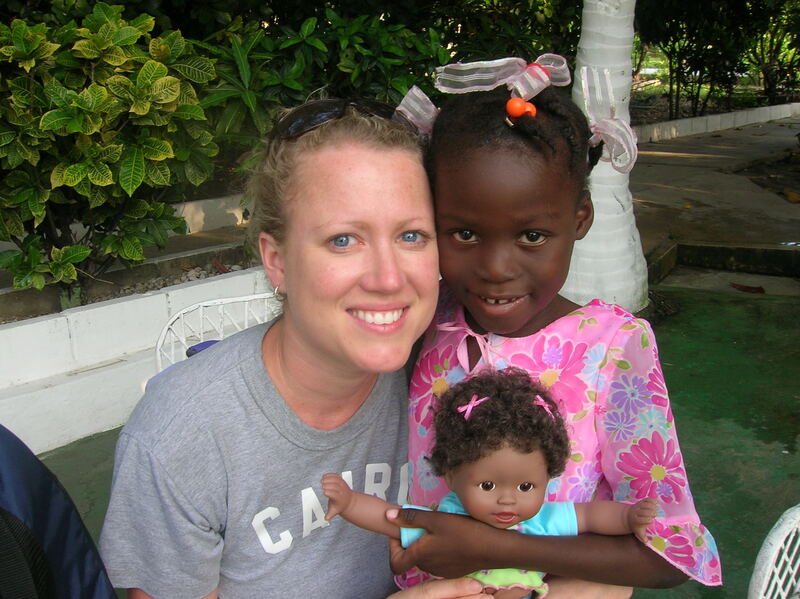 My first trip to Haiti changed my life forever. Liciajust posted this post (I’m including the entire post here as well.) Haiti changed me. It was the most eye opening place I’ve ever visited but to this day one of the most enchanting and beautiful places as well. If you have never been to a third world country my desire for you no matter what age you are now that you do it. Just one time. Let the expereince change you. Let it show you how un-normal your life really is. Haiti for almost 15 years has haunted me in a really good way. There is a reason that this past May on our trip that 4 couples from that trip are now in the adoption process…. The Parkers, The Ivey’s, The Hyatts, us. And others like Crystal have already been back to serve. It changes you. I’m celebrating my 33rd birthday tomorrow. (that dreaded post will come tomorrow) I should be excited that I am 33 years young. But the thirties have hit me hard. In my mind I think that my life is just passing me by. I have so many things that I have yet to do and wonder if I’ll ever attempt to even start them. Do you ever feel like that? Needless to say, tomorrow will come and go but it’s always the glaring constant reminder to me that there are so many things that we can all do so that Hope Sees, Faith Moves, Love Gives. And seeing other people’s journey’s. Being able to see Haiti through other people’s eyes like Licia’s keep me going and daring to believe that this very abnormal life of mine can have maximum impact in the life of others both near and far to me. From Licia – One a recent walk in the village I took a picture of this little girl. She is five years old and was making food for her and her siblings. She lit the fire by herself and was making something for them to eat. There were no adults around and when I asked the kids told me the yhad went to the local openair market to sell their produce from the gardens. This is how my first son was burned. Exactually–bending down to blow on the fire to get it going. His shirt caught on fire. These are the kids that are waiting on her to fix the food. She was also watching them until the parents got back from the market. I talked with a few people around the house and when I asked why a adult was not there, they laughed. You see this is what is expected of her. She does it daily, weekly, monthly for her siblings. They were not laughing at me to be cruel, they were laughing because this is reality for them. No stove to cook on, no running water, no nice green grass to run in and play, no toys, no pop tarts, no snacks, no floor just dirt, no pretty pink bedroom with everything matching, no …um wall to the side of the house, you get the idea. I do not tell you this to feel sorry for them. I do not want you say that is so sad. 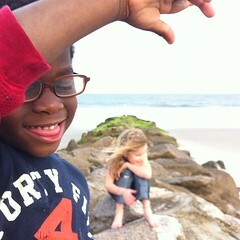 These kids are happy. They love their parents, the parents love them. I want you to come and let Haiti change you. I want you to realize that your life is not normal. That is not how most of the world lives. You do not need running water, ice, a soft bed, and things to make you happy. You need love. You need some to care about you. When you go and visit a third world country, which you all should, let Jesus come out of you and go into the people. Do not go to change them, let them change you into what God desires you to be. Let them see Him in you. Love them like He would. Care for them like He would. What an opportunity we have to show His love to some that seem unlovely to us. I’m waiting on you? Are you ready to be changed? I’ve been stirred beyond words. How do I make our world a better place? How do I be a part of… “stopping hunger, injustice, poverty, making someone else’s life better, investing in people?” I don’t know. And I don’t think many other people know either. Or they know there are problems out there but at the end of the day, they just don’t care. So here is the deal. Love Gives. That is the bottom line. The Who, What, When, Where and Why’s? not sure about all of that but I do know this… Love gives. So as I read this article today or check be reminded of people like “Tom” I have to also believe that there are certain things that I am to personally be doing or doing with my community that will be a part of changing our world. I’m so disturbed. And that is good. Love gives . Love gives . Love gives. If you believe that then what are you going to do about it? Realities in Haiti Right Now. Ideas that are changing the world. 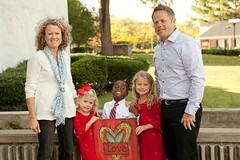 Just found out tonight that this family is adopting from Haiti! Debra and I roomed together in May on our trip to Haiti. Go find out how they are taking great leaps of faith. I am so excited for them. It’s been something they have been talking about for a long time. Congratulations Parker Family! 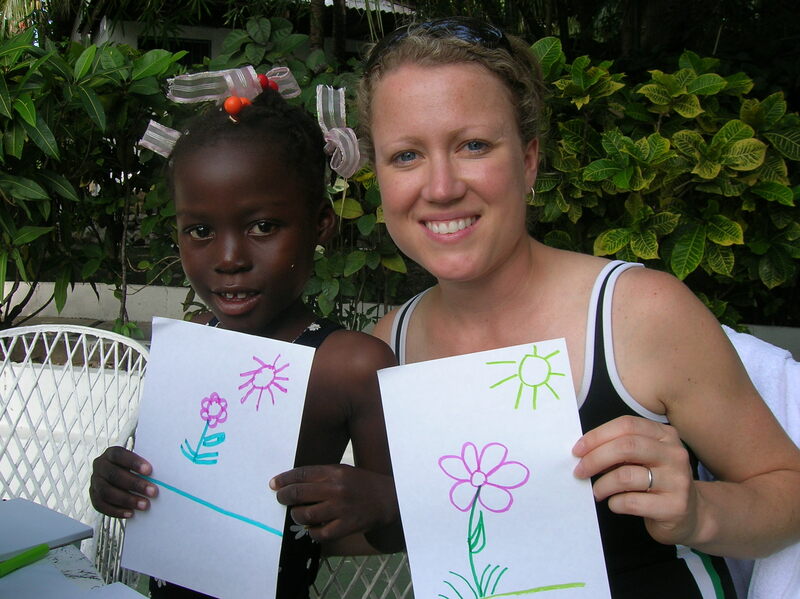 Last Wednesday I met Angela our 6 year old child that we sponsor through compassion. When Emma was born Dave and I decided to start sponsoring a child through compassion that was the same age as her so that she could journey with them through her life. Our first child sponsored was Leon. She was from Haiti. 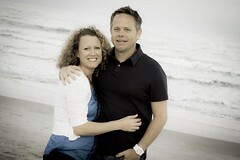 3 years ago we were notified that she was leaving the compassion program because her family was moving. So at that time we picked up Angela as our sponsor child. We’ve corresponded back and forth through letters and tried to get know her as much as we could a 4 year old child. So when I knew I would be heading to Haiti this May I contacted Compassion to see if they could arrange a visit with her. I was pretty doubtful they could since she lived on the other part of Haiti that I was going to be at but it was worth a try. Well they made it work out and here is how the journey went that day. Wednesday morning Angela and her aunt woke up early and loaded on a bus for a 6hr ride to come see me. With them traveled the project coordinator from where Angela was from. The plan for them was to meet us at Wahoo Bay a beach place near where we were staying. We would hang out for a few hours and then they would head to PAP to spend the night in a hotel and then take the 6hr journey back the next day. So as our team pulled up at Wahoo Bay, they were already there waiting. Let me just say that I did not know what to expect. I was nervous about the day just because. I just wanted Angela to have a good time and to have a good experience and of course I felt I had a lot of expectation on my shoulders. I just did not want to let her down. After all at the end of her journey was only me waiting to greet her and spend some time with her. I had brought stuff for her. I spent a lot of time before my trip gathering things for her. A backpack, clothes, candy, a doll are just some things to name a few. And we got some things for her family. A beautiful tablecloth, a crank radio and flashlights etc. After spending a week in Haiti I was having those thougths of feeling like I got her all the wrong things. After seeing what little the children have there I was wishing I had gotten different things for her. I was just praying she would not be overwhelmed. So back to when I met her. I waited for her outside her car and there she was. This beautiful girl that I had only seen in pictures. She was dressed in a pretty dress and new white socks. And after being in Haiti for a week I knew that whoever got her ready to see me had made some sacrifices in getting her these items. So how did it go? I think it went well considering she had never seen a white person … in person. 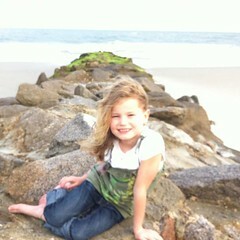 She had also never been up to the Ocean before and that was a first for her as well. But as I met her I showed her the photo album I had brought of Dave and the girls and then took her to the store on sight to help her pick out a swim suit so that she could go to the beach and pool that was there. For the first hour or so she was in shock. She did not talk much. I took her down to the Ocean and she started to cry in fear. She told the translator it was too loud. 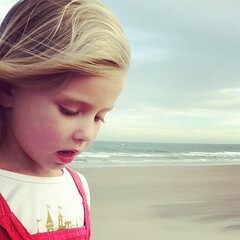 Again first time she had been to the Ocean. So we went up to the pool instead and stuck our feet in the water and then ended up spending time coloring together. She copied everything I drew and then began to open up more. By the end of our time together she was finally smiling for the pictures we took. As they prepared to leave her aunt began using the translator to thank me. She went on to tell me how much God would bless me for all that I did for Angela that day. She told me thank you for giving Angela hope and support. She prayed for God’s blessings on my life. That was a hard thing for me to experience. Because I am richly blessed and they have nothing and to sit and be told to be blessed even more was humbling and also made me sick inside if that makes any sense at all. It was a once in a lifetime experience for me. One that will be embedded in my heart forever. I’m glad for people like Angela in our families life. The compassion worker said that Angela would likely remember this day for the rest of her life. I just hope and pray that as she remembers that day she does not remember me or my white face or the things she did but that she would remember the love of Christ that was shared between us as our 2 worlds collided for just a simple moment. And I pray that she takes from our time together Hope and Love. That is all I know to say. Not sure if I even did a good job explaining all of that. Did any of you see Oprah yesterday. The TV was on and Dave and I were in the room when the story ran of a 3yr old Madelaine who is fighting cancer and Simon Cowell told the family he was paying off their mortgage. It was a blur of emotion for me… not what Simon did but they chronicled a day for the little girl and it has haunted me ever since. Dave even sat there and shed some tears. I think it’s because we have a daughter and it could just as easily be us. It made us look at each other and both verbally utter how thankful we are for the current health of our children. We know of people who’s child has leukemia. I think we all know people who have been affected by cancer and disease. It made me think of a Video on You Tube that Lori had posted. If you get some time and want to watch it… It left me with many thoughts. The thing is that I think often times we get paralyzed by thinking “what can we really do for people who are hurting” sometimes the fear of not knowing what to do paralyzes us into doing nothing. But this was a good reminder to me that we can always just do our best to try and meet the needs of people around us even when it’s just the most simplest thing. Like just checking on someone, sending them a note of encouragement, taking them a meal. We don’t have to pay off a mortgage to let people know we care and that we are willing to make a difference in their life. Dave is speaking at our church tomorrow. I think it’s been about 6 weeks since I’ve been there myself. A few Sundays were spent taking Dave to and from the Airport for his Peru trip and then the sickness hit us for about 3 weekends in a row. First it was the croup and then the stomach virus. But tomorrow we are all going to be there and hopefully germ free. Dave is talking on hope and the presence of Christ and how it brings hope in the midst of despair. I always ask him what his 3am is ((his main point)) tonight he is saying it is…. Hope is the combination of what you can see and what you can sense. I’m looking forward to it. Our family has been journeying through a lot of conversations this past month regarding hope. It’s easy to have hope when you have security and blessing. It’s not as easy to have it when you don’t have those things or opportunity.